Huerto del Francés, English | Turismo rural en Sierra Mágina, Jaén. Rural Accommodation in Andalucía, Jaén (Pegalajar) Natural park of Sierra Mágina, Andalucía, Spain. Situated in Sierra Mágina (Pegalajar, Jaén), Alojamiento Rural offers a spectacular environment for people who want to enjoy a relaxing country getaway, or hike some easy-to-challenging trails among the olive, almond and pine trees in the surrounding mountains. This 300-year-old former farmer house has been restored perfectly with modern fittings and all necessities to provide the maximum comfort for the guests. 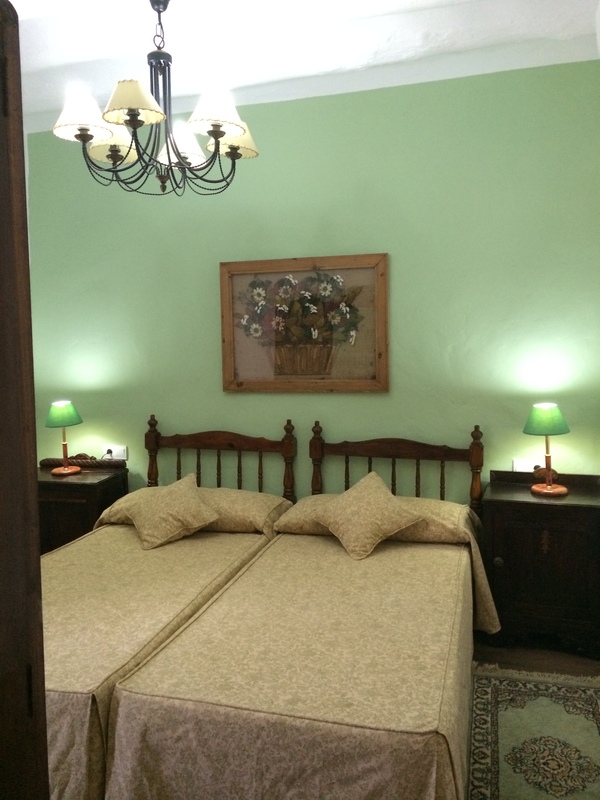 It accommodates 6 people in 3 tastefully decorated bedrooms. The house, a former home for farmers, recently renovated to make an ultimately cozy space reminiscent of ancient times. We have respected the old structure, but completely refurbished for this purpose using materials like stone, wood and metal, while trying to attain the maximum comfort. 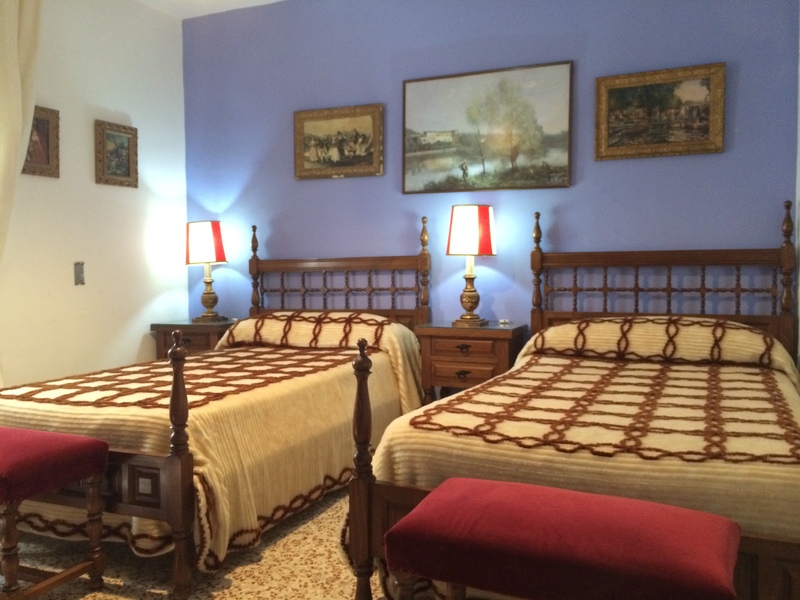 We also decorated the house with antique furniture which were retouched mostly by ourselves. The thick walls of this stone house help maintain a stable temperature, although we have supported with new technology such as air conditioning and heating systems in all rooms, and hot water in all bathrooms. In the living room there are fireplace, sofas, TV, CD & DVD players, dining area… sure that you will spend a good time with good conversation by the fireplace or the patio outside !! The patio is surrounded by plants and vegetables and is flowed with fresh air. The lovely aroma of wet soil and vegetation bring about very relaxing and cool summer nights. Currently we have three double bedrooms (two with 2 single beds and one with one double bed), 2 bathrooms, one shared by two bedrooms (Green and Blue) and another integrated into one attic (Loft). The total capacity is designed for six guests with coziness and ease. The village is just 5-minute-walk away, there you will find all the essential services: bars, restaurants, supermarkets, shops, church, hospital, pharmacy, bus stop, sports center and public swimming pool, etc. In Mágina mountain range there are many hiking trails and mountain paths where you will find magnificent scenery and enjoy photography of nature as well as the peace of mind. Do not forget to bring your camera as you’ll take many stunning photos as souvenirs! Enjoy “tapas”, traditional Andalucia cuisine and drinks in bars, restaurants and pubs in Pegalajar. Visit the village mills (oil mills) to see the manufacturing process and to buy the first hand pure olive oil “extra virgin” without middlemen. -The villages of Sierra Mágina, with their special characteristics and unique beauty: Cambil, Huelma, Belmez, Bedmar, Jimena Torres, Albanchez de Mágina, etc. The house is located on the outskirts of Pegalajar (Jaén), in the area called “French Garden (Huerto del Francés)” at the foot of nature park “Sierra Mágina”. 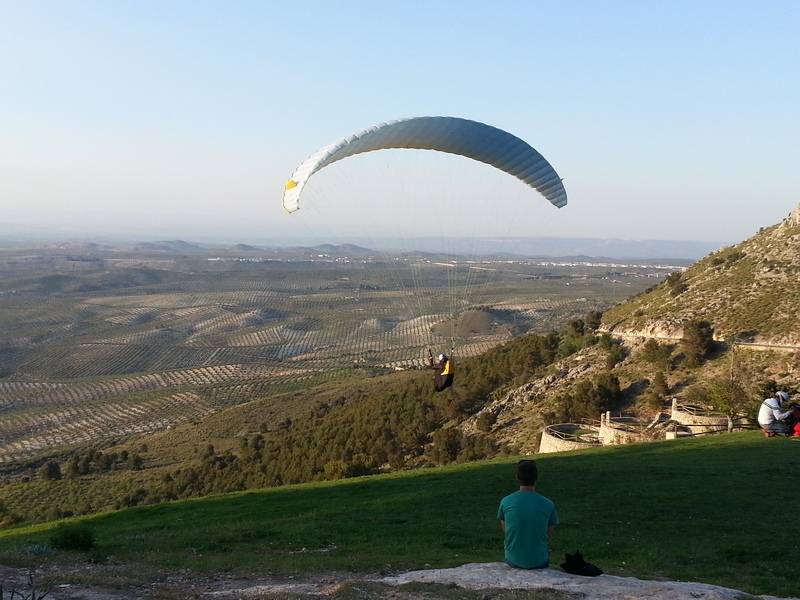 To get there take exit 50 of the A-44 (Bailen-Granada), the house is just 5 km by the road. You can also reach the village by the A-316. From Mancha Real, you can arrive by the road 3241 JA. Without a car you can also take the bus from Jaén to Pegajalar, the bus runs in several daily schedules (except weekends and holidays). You can reach Jaén by train or bus. The nearest airport is 80 km away (Granada).